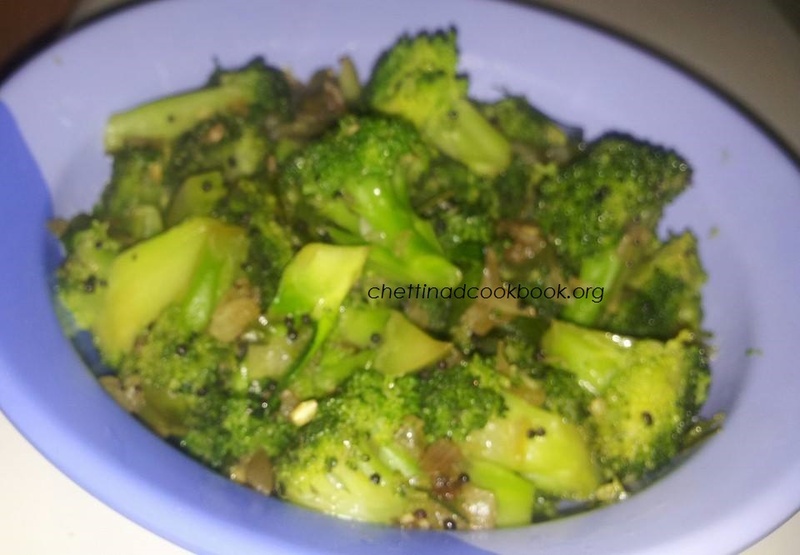 Broccoli is an edible green plant in the whose large flowering head is used as a vegetable. usually green in colour, this is considered as one of the worlds healthiest food. Clean Broccoli wash in hot salted water. Heat pan with 2 tsp of oil splutter mustard seeds and urad dal. Add onion and green chillies saute well until it gets half cooked. Add cut broccoli saute now add salt to it, reduce flame and cook ,actually Broccoli gets cooked faster than all other vegetables no need to sprinkle water to it. Once it is cooked add pepper and mix well switch off flame and serve.